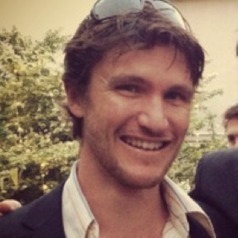 Matt is a final year PhD candidate with the Institute for Sustainable Futures. His background is in Environmental Engineering; however his research is trans-disciplinary drawing on practice theory, new economics, transitions theories and environmental disciplines. His research explores the impact of living in sustainable housing developments, such as cohousing communities and ecovillages, on everyday consumption practices. The research has used a mix of qualitative (participant observation and interviews) and quantitative (ecological footprint data collection) methods, to focus on the sustainable practices that are encouraged and/or developed within households and communities, whilst trying to understand the impact these developments might have on a wider scale. Matt completed a B. Engineering (Environmental) (Hons I) at the University of Wollongong in 2006. During his degree he was part of the Reverse Osmosis Solar Installation (ROSI) research team which received 2nd prize (Water) at the 2003 Energy Globe Awards, conducted honours research on ocean wave energy systems. In conjunction with his research, Matt has been actively involved in providing technical leadership and design knowledge on a wide range of projects, primarily regarding environmental planning, water, and built environment focused activities in the infrastructure sector.